Tristan Bougie holds a Bachelor’s in Urban Planning from the Université du Québec à Montréal. 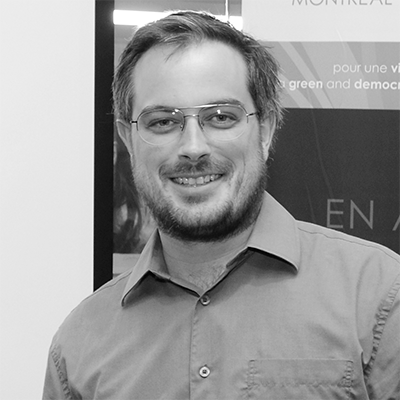 Since 2010, he has worked as a project manager, development consultant and trainer for participatory urban planning processes with municipalities and associations in Montréal and Québec. Since 2014, he has focused on the participatory budget process as a democratic transformation tool for cities and public spaces.